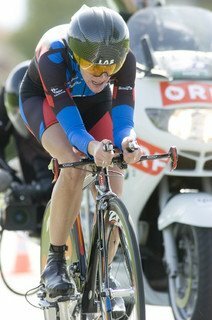 Salzburg, Austria (September 20, 2006)—Training Peaks user, Kristin Armstrong won the Elite Women’s Time Trial event today at the UCI Road World Championships in Salzburg, Austria by 25.57 seconds. Armstrong becomes the third American woman in history to win the world’s time trial. Kristin is coached by Jim Miller, Director of Endurance Programs at USA Cycling. Miller manages Kristin’s training and race data through software developed by TrainingPeaks.com. Training Peaks is the official software supplier to USA Cycling and allows USA Cycling team coaches to monitor, analyze and plan workouts easily and efficiently through a web-based platform. In addition to Training Peaks web-based products coaches and athletes can analyze power, heart rate and GPS files using CyclingPeaks WKO+ software. The combination of desktop and web-based software allows USA Cycling coaches the ability to easily track day-to-day fitness and modify future training in a timely and effective manner. “USA Cycling uses the best heart rate and power meter devices, and now with TrainingPeaks.com we use the best software available for the benefit of our athletes,” said Miller. It has obviously paid off for Kristin – and many of the U.S. Cycling Team athletes. Training Peaks is proud to be an official supplier to USA Cycling and is helping the organization and its athletes reach World Class results. We are proud of their accomplishments and congratulate Kristin on her victory today!